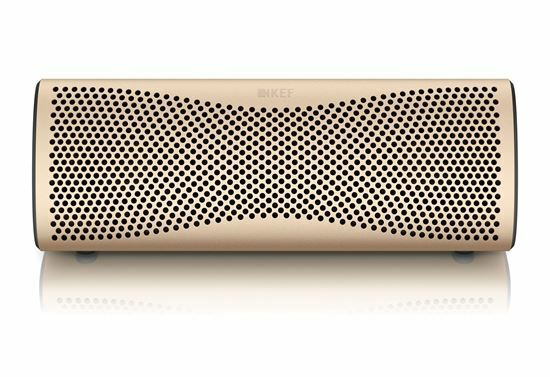 Designed by Ross Lovegrove and engineered by KEF, MUO is packed with innovative technologies to deliver uncompromised KEF quality sound when you’re streaming music wirelessly from a computer or mobile device. It packs a punch out of all proportion to its size. With most Android mobile devices, you can also benefit from the NFC 'tap-to-pair' function - just hold the device against MUO and they're paired readily to stream your music in seconds. When not streaming your music wirelessly, connecting to any computer or mobile device via the 3.5mm Aux input is equally simple. MUO has a rechargeable battery with up to 12 hours of play time and switches itself off automatically when not in use to prolong battery life. KEF's legendary Uni-Q point source driver arrays are used in most of our products, right up to our flagship MUON, BLADE and THE REFERENCE. Uni-Q gives a wide sound dispersion with continuous and consistent sound quality. By using the same sophisticated FEA modelling techniques, our engineers have developed an ingenious miniature Uni-Q. The central tweeter dome is decoupled from the outer cone by a flexible membrane, and the whole diaphragm is free to pump out midrange frequencies as powerfully as a conventional driver while allowing the tweeter dome to move independently. As a result, it can reproduce the higher registers with great accuracy. The MF cone is profiled to act as a waveguide for the tweeter, further widening the dispersion to fill the room with full-bodied, stunningly clear sound. The MUO's drive units which flank the central passive bass radiator, are configured to only give treble output from the right-hand unit as you face the MUO placed horizontally. This reduces interference to achieve a more non-directional and room-filling sound. 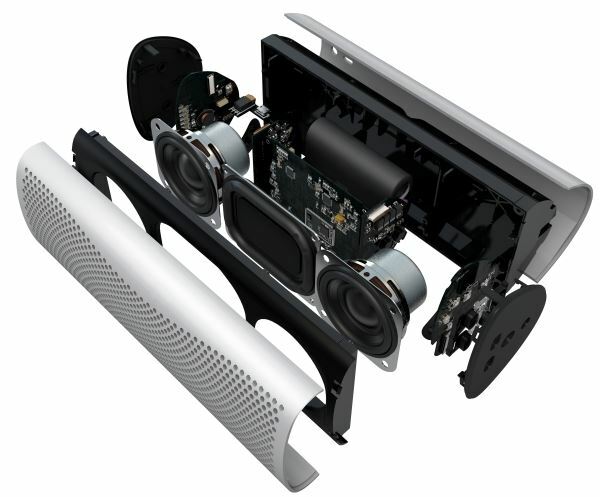 Below are diagrams which show the directional sound limitation of a typical compact stereo speaker versus the KEF MUO. You can synchronise a pair of MUO speakers to stream superb CD-like quality stereo sound wirelessly via Bluetooth aptX. For larger gatherings and parties, you simply select the ‘dual-connect’ mode that allows both speakers to replicate the same full-range response so that everybody gets the full benefit of the music you’re playing. 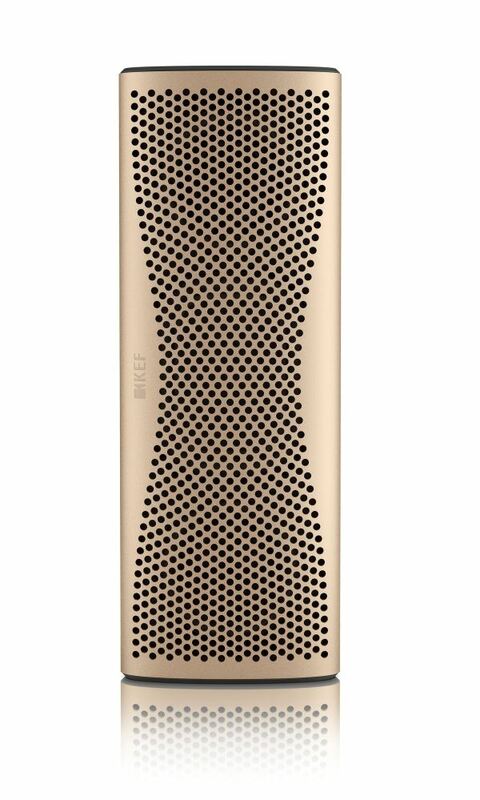 It's no coincidence that the MUO echoes the sculptural form of KEF's iconic MUON speakers because design guru Ross Lovegrove teamed up with our engineers on both. Using premium quality materials throughout, the unique and satisfyingly hefty structure they developed eliminates unwanted cabinet vibration - all you hear is the rich, breathtakingly detailed output of the drivers. The shape itself has been expertly designed to allow optimal sound projection into the room and is complemented by five suitably cool finishes: Horizon Gold, Storm Grey, Light Silver, Neptune Blue and Sunset Orange.